The 2017 Holiday Foil collection is officially here. 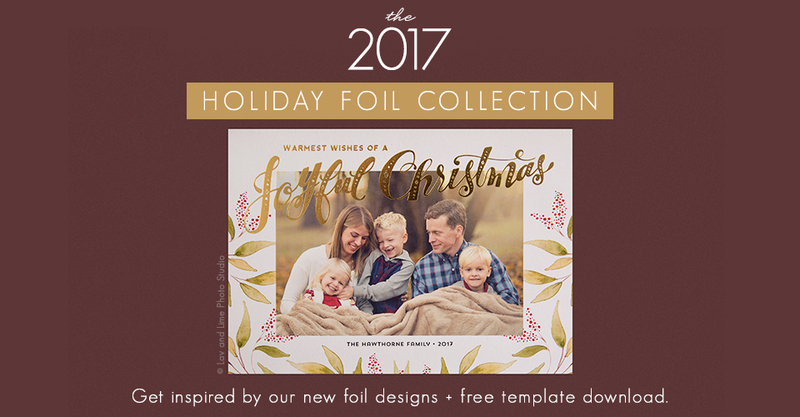 Craft the perfect holiday card for your clients with stylish template options that are lightly stamped in Black, Gold, Opal, Red, Rose Gold or Silver foil. Hello. Do you have foil card samples that can be mailed out? I have a holiday special coming out in November and I need to be able to show clients these beautiful cards. Thank you!